TOUGH NUMBER ONE!!! 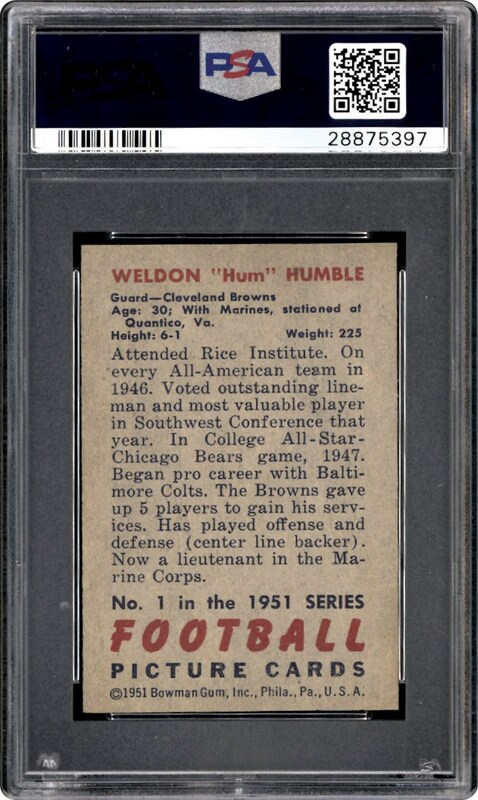 Issued in 1951 by the Bowman Company, this #1 card is one of the nicest we have ever seen. Razor sharp corners and a pack fresh look rarely seen offered on this card. Only 4 cards grading PSA 9 MINT with nothing grading higher. 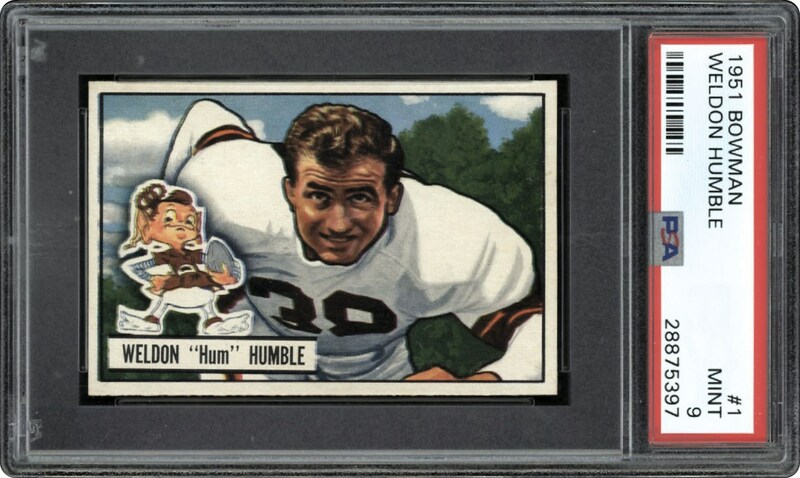 Great opportunity to add this card to your high grade Registry Collection.